Help me update the tools by donating with PayPal. If you like the tools I created please donate so that I can update and support the tools that exist and make new ones. Create a backup folder with date. Take a snapshot of a running or stopped VM. Export the snapshot to a XVA file. Optionally Zip the backup folder. 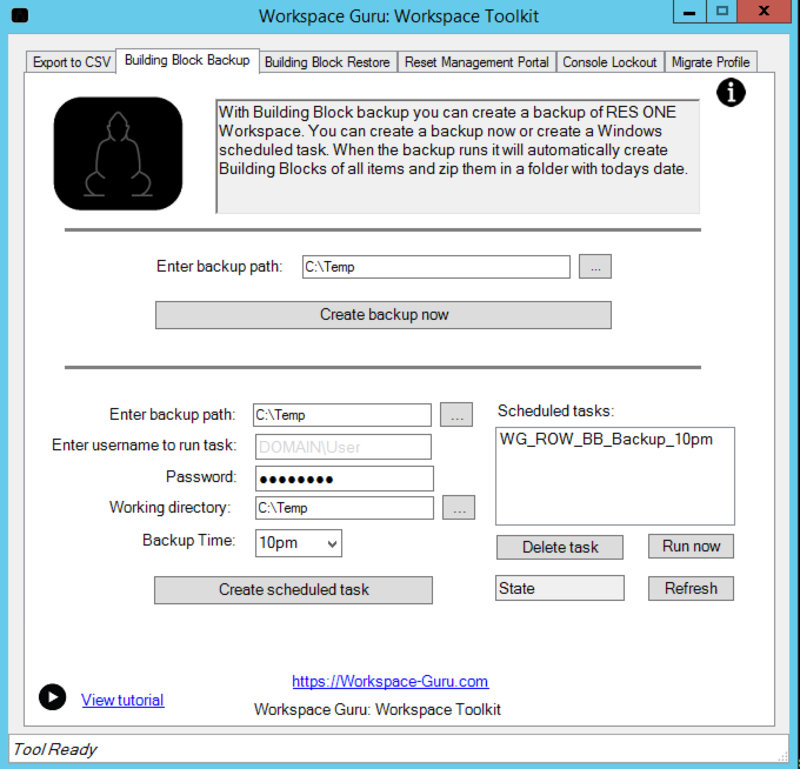 Shedule a backup as a Windows Scheduled Task. 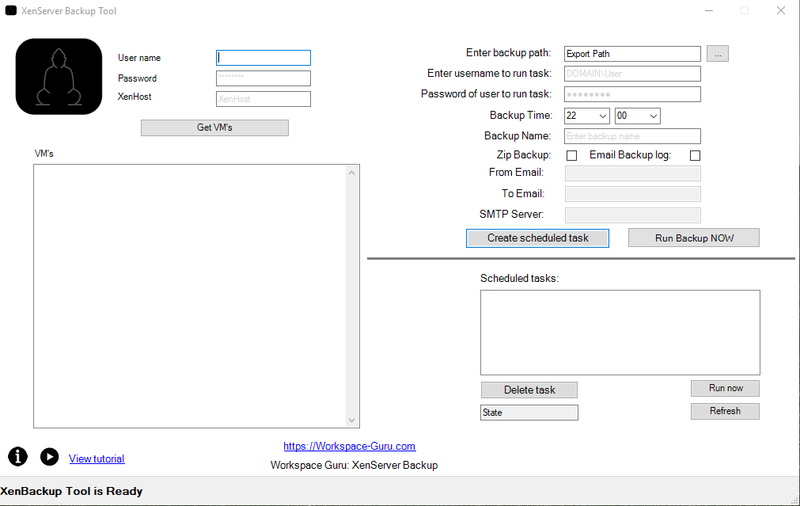 Run and delete scheduled backup tasks. 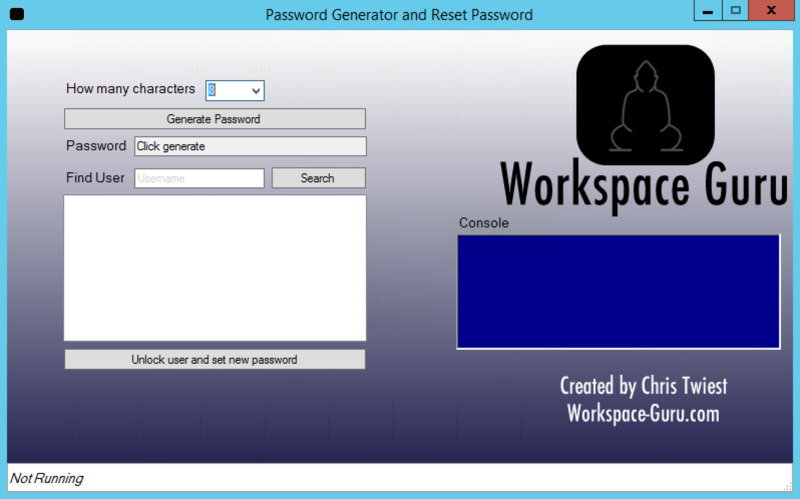 Saves your XenServer Password in a Encrypted Vault. 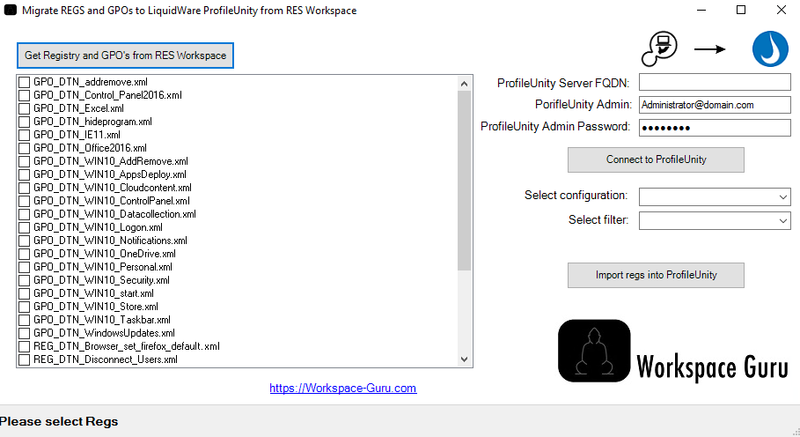 These tools let you import Registries/GPO from Active Directory and RES ONE Workspace to Liquidware ProfileUnity. 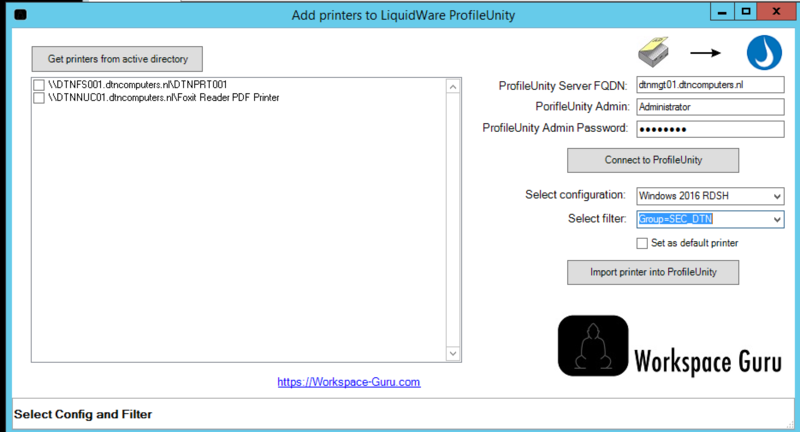 These tools let you import Printers from Active Directory and RES ONE Workspace to Liquidware ProfileUnity. 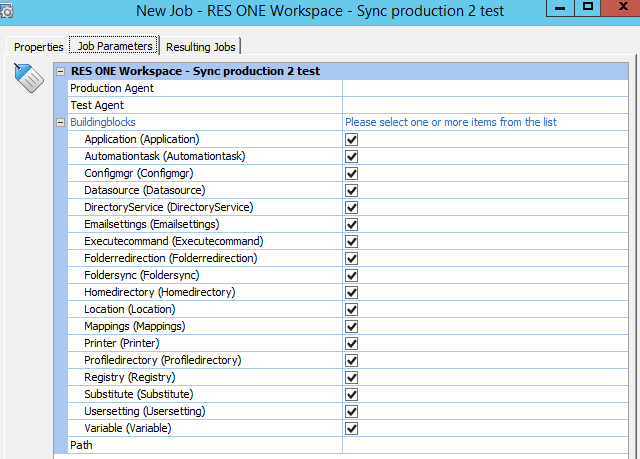 Ever wanted to create a RES ONE Workspace test environment from your production environment with one click ? 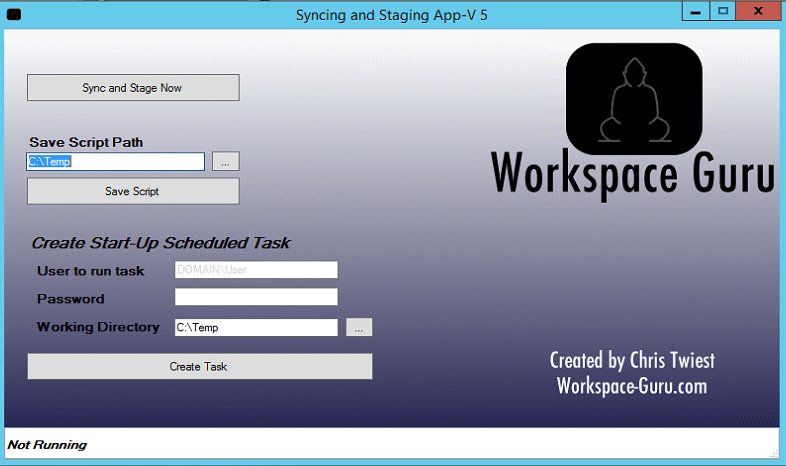 Or just want to keep your test environment in sync with your production automatically? Now you can! I created a package (runbook) which works in RES ONE Automation to do this. This tool will sync App-V 5 packages and pre-stage the registry. When you use the create scheduled task feature it will create a scheduled task at startup to sync everything before user can login by stopping the Citrix VDA Service.